You are at:Home»Admissions»What Is A Good GPA For Law School? So What is a Good GPA for Law School Admissions? Well, a good GPA for law school is, of course, the GPA that gets you into the school of your dreams! This article will take a general look at the GPA you need to get into each of the various tiers of law schools. We will discuss the GPA range that is likely to get you into one of the top 100 law schools. We’ll also dig deeper into the GPA ranges at the well-known “top 14” law schools. But first, a little background on why your GPA is important and how students’ GPA numbers impact law school rankings. You may wish to dig deeper into this question by reading a book that covers the subject. This should give you a better idea of the methodology admissions deans employ in sorting law school candidates. 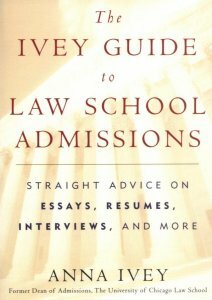 I recommend the Ivey Guide to Law School Admissions, which was written by a former dean of admissions at my Alma Mater, U Chicago. Why is a good GPA required for Law School? Plain and simple, law schools view your GPA as an indicator of your potential to work hard and succeed in law school. A good GPA is correlated with performance in law school (though not so strongly as the LSAT, which partly explains the greater weight given the LSAT in the admissions process). 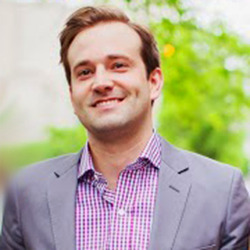 Law schools want students who will try hard and succeed in law school, in part because these same students are considered likely to flourish in the real world, enhancing the school’s reputation and bringing money back to the law school. The other primary reason that law schools desire high GPA students is that law schools are ranked in part on the strength of students’ combined GPA. A little rankings 101: The US News and World Report (USNWR) rankings are the dominant rankings in the law school world. They are incredibly important to law schools because law students use these rankings in deciding which schools to attend. Under USNWR’s current methodology, the median undergraduate GPA is responsible for ten percent of a law school’s ranking, making it a significant factor. Obviously, the lower your GPA is, the higher you want your LSAT score to be to compensate for it. As a general matter, the applicant pool for law schools is filled with more students with high GPAs than high LSAT scores. Because there are more such students to go around, there is a less severe drop off in GPAs than you see with LSATs as you go down the rankings. No top 100 school has a median GPA below 3.0, and only two schools have 25th percentile GPAs below 3.0. Let’s take a look at the T100 schools at the highest level of generality. The following chart list the lowest 25th percentile GPA found in a school within that tier, so generally, you would want to have a GPA above this number to have good chances of admission. Note that as a general rule, if you have a GPA around the 25th percentile range for a given school, then, ideally, you’d want to have an LSAT score that is at or above the school’s 75th percentile. A high LSAT score can go a long way toward making up for a low GPA. High LSAT/Low GPA applicants, often dubbed ‘soft splitters,’ actually tend to have pretty strong outcomes in law school admissions. What conclusions should you draw about law school admissions from the above chart? Schools all the way down to the 100 mark have a majority of students clocking over a 3.0 GPA or a B average. With grade inflation, maintaining a B average is considered easily within reach at American universities, but it still requires assiduity and a commitment on your part to do your work and attend classes. This means that the broadest level, those are the kind of students law schools are looking for — they want people who will at least put in an effort. Law school isn’t for slackers (see our post ‘how hard is law school?’ for more on that). Furthermore, harder working is better. If you are considering law school, you want to keep your GPA as high as possible. Your GPA is the best way of signaling to law schools how hard a worker you are. Getting into a top 6 law school is going to require a very strong GPA if you want a good chance of getting accepted. Harvard, Yale, and Stanford have clearly separated themselves from the pack a bit. A whopping 3.76 is the lowest 25th percentile GPA in the bunch, meaning that 75% of the class has that GPA or better. Bear in mind the following chart uses the 2019 USNWR rankings. Yale is clearly a standout. A 3.83 is a hard GPA to maintain anywhere, and especially at the very strong schools that Yale Law School pulls many of their students from. The other thing that catches the eye on this graph is that Chicago seems to be going somewhat more for a good 25th percentile GPA instead of a high 25th percentile LSAT. Having a GPA over 3.8 is going to make you highly sought after, and raises the potential to get scholarship money offers from these schools. If you are reading this before your GPA is set in stone, I highly recommend you shoot for a 3.8 or better (easier said than done I know). This number tends to convert a GPA from the merely acceptable to the highly desirable. While a 3.75 GPA is often good enough at the very top, a .1 jump to 3.85 provides a considerable boost. Notably, there is not much of a difference between the GPA profiles of Penn, Virginia, Berkeley and Michigan, and those of the schools rounding out the top 6 (Columbia & NYU). By and large, these schools are all pulling from this same 3.5-3.9 range. Considerably more candidates are available in the 3.5 to 3.7 range, so be aware that in these schools you greatly increase your chances of acceptance and scholarship money to be above that range. You might have better luck at Northwestern, which is considered on the forums to be the most friendly to low GPA/high LSAT splitters. I would caution hopeful applicants not to read to much into this- it is thought that Northwestern is likely to favor such applicants a lot more when they have excellent work experience. The Northwestern law students I know confirm that Northwestern gives substantial consideration to work experience in making admissions decisions. That said, they still take plenty of applicants straight from undergrad provided they have desirable LSAT and GPA numbers. Berkeley is worth discussing the most here. Berkeley, it appears cared a little bit more about keeping its 25th percentile GPA up than having a high 75th percentile LSAT. This is something to note if you are a low GPA/high LSAT splitter. Berkeley is traditionally considered something of an outlier among the T14 for the greater emphasis they place on GPA. This appears to be their practice still, as their 25 percentile GPA is markedly higher than their peer schools. Berkeley is also notable however because if you look at user-submitted application data on lawschoolnumbers, there are a fair number of applicants getting accepted with scores in the lower LSAT range for the school without a stellar GPA to balance it out. If any school in the T14 can honestly assert that they look at the total applicant, not just the student’s numbers, it may be Berkeley. To win scholarship money on the strength of your GPA at these schools, you want to have a GPA in the 3.85 range for Penn, Virginia, Berkeley and Michigan. For Duke, Northwestern, Cornell, and Georgetown, you have a good chance of drawing scholarship money with a 3.8 or better. It is often sufficient to have just one number above a school’s 75th percentile to draw scholarship money. That is because they can cover your lower number with students that have a higher number there. On the low end, expect to have a GPA of ~3.5 if you want good chances at any of these schools, though there are appears to be some wiggle room at Georgetown and, as already discussed, Northwestern. Expect that you will have to have an LSAT score that is very strong for that school to have good chances with a lower end LSAT. Staying above a B average will allow you to get in somewhere, but your law school options improve considerably as you pass the 3.5 range. A significant boost then occurs as you hit 3.7-3.75 and again at 3.8-3.85. If law school might be in your future, do everything you can to claw for GPA points, as it can profoundly affect your outcome in your admissions cycle. It is thought that GPA accounts for something close to 25% of whether or not you get into a particular law school. If you have any questions, please leave a comment below or if you’d prefer, get in touch with us on twitter @onlawschool or facebook. Best of luck in your cycles! 0L Admissions Getting into law school GPA hot Law School Admissions Cycle Law School Applications law school rankings Law Schools Pre-Law Top Law Schools what are my chances? Previous ArticleDon’t Forget About The July LSAT! I’m a Junior and have a 3.31 in Purdue’s Aerospace and Astronautics program–unfortunately I have zero idea what my chances look like. What caliber of school should I apply to? And do law schools consider course difficulty? Just wondering how much of a significant difference it would be applying to law schools with a 3.8 vs a 3.85. I am hoping to apply this upcoming Fall semester but if I forgo the application and wait for senior year grades, I can probably bring it up to a 3.85. Would waiting an entire year to apply with the .5 increase be worth the wait? Let me know. Maybe they’re thinking the same thing? I’m currently a sophomore in college with a gpa of 3.65 I’m working hard to maintain and build it every course I take. Do you guys think by my senior year I can reach the 3.9 ballpark? I really want to get into NYU or Columbia I’m not really impressed by Ivy league schools, but I would like to get into one of those two. I haven’t taken my Lsat , but I am gearing towards that by studying here and there. Hi, do you consider a 3.8 GPA, 180 LSAT universally strong? I go to a big state school. Yes. Those numbers will get you in pretty much anywhere… with some pretty healthy scholarship offers. Yale is always a bit of a wildcard no matter what your numbers are, but assuming that the rest of your application doesn’t throw up any red flags, you’re going to have a strong chance of getting in pretty much everywhere you apply. I’d still recommend applying to pretty much all of the Top 12 schools to maximize your leverage in scholarship negotiations. Hello, I am a freshman in a community college. I am heading for law my GPA is around 3.75, but I have a problem. I failed a law and business elective class in high school, and I was wondering if that effects my admission for law school? Hi, I currently go to a well known university in NJ, Rutgers in NB to be precise. My gpa is currently 3.2 and I plan on doing really well in my LSATS I’ll be taking in September. Do you think there’s any chance of making it into a great school such as NYU or of that level? I’m worried. The GPA’s that are posted on USnews as the schools’ median GPA and 25th/75th percentile, are they the GPA of the student after it has gone through the LSAC standard of accounting for A+’s as 4.33’s and community college courses and whatnot, or just the GPA from the undergrad that the student is applying from? That is after the LSAC accounting. Believe me, they don’t miss a trick in terms of making things look as high as possible! Thank you for responding! I ordered Ann Levine’s book and read it in one sitting. It is excellent! Second question for you… I recently ordered the LSAT Trainer for prep. I would have ordered the Powerscore series but its not in the budget currently (I left my previous career in Healthcare Business to pursue college full-time, so money is tight). Have you had any experience with the LSAT Trainer? I thought it looked like it might be a good fit for me. I do have the option of using a tutor, but self directed study will not be an issue for me. I’ve only looked at the LSAT trainer a little, but it seemed like a good product. Mike Kim has a good head on his shoulders and all his advice that I’ve seen is spot on. I would just stick with self-study unless you have major problems. I know this post is older, but I am hoping someone might be able to offer some advice. I am currently a junior at an R1 university, and I have a 3.928 gpa. I graduated from a community college with a 3.922 gpa. Those numbers look great, but I have two problems from my past. The first is 12 hours at one community college (the one I graduated from) from 1998 that I failed due to a family member’s death causing me to miss finals. The other is from 2009, where I had 6 hours that I missed withdrawing from due to leaving an abusive relationship. Those 18 credit hours kill my gpa (as near as I can figure, it will be around a 3.65). Will these kill my chances at top 14 schools? Are top three completely out? I scored a 163 on the diagnostic lsat at the university (studying for June 14 now). I have solid letters of recommendations from my department, and have a compelling backstory. That’s okay Jenn. We see every comment the same even if it’s on an old post. Here’s the deal: Your 3.65 GPA is not that bad, even ignoring the special circumstances. It might make Harvard and Yale a little tough, but not even that isn’t impossible. Get a 170+ score and most of the T14 should be within reach. Although you probably won’t be have quite as strong a cycle as someone with a 4.0 LSAC GPA, I would expect you to do better than the typical 3.65. Focus on getting that great LSAT score. Good luck and stay in touch! Evan here. Don’t worry, I had a around a 3.7 GPA. That really isn’t low. You might write a short addendum to explain that the grades you got in that first semester weren’t representative, but they’ll probably see it on their own. Sadly, the 4.0 MBA isn’t going to help much. If the MBA is from a fairly good school, that will be an excellent soft factor in any case. Good luck!